One compact and very well arranged Christmas layout with Lionel O-gauge tracks, suitable for simultaneously running of two trains. The layout is completed and fully operational. The only item that is missing on the pictures is the Christmas tree, that will stand in the hole on the middle. 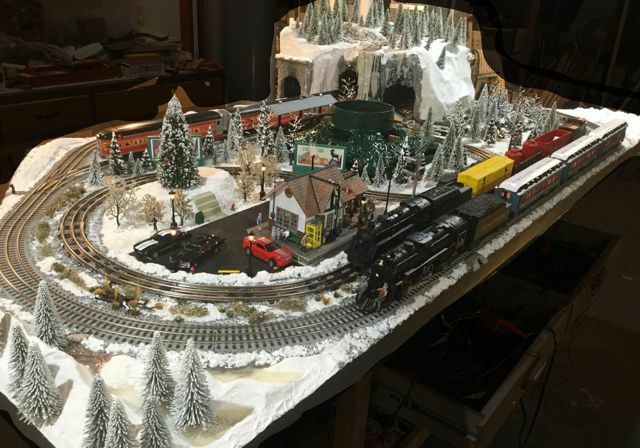 More info, pictures and video about this layout can be seen on Ted's thread Need more than a "little" help with SCARM on Xmas layout in OGR forum.